Our selection for the Wirefresh Laptop Of The Year may surprise some folks: in fact, some may say that it’s not a laptop at all, but for us it is the device that has replaced all our laptops and become our day-to-day workhorse machine. 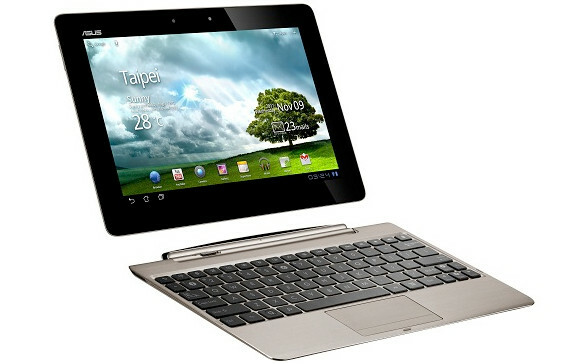 The Asus Transformer Prime is an Android powered tablet that comes with a keyboard dock that effectively turns it into a light, slim and fully connected laptop. Powered by a nimble Tegra 3 quad-core chip, the Prime proved a perfect companion for all of our regular laptop tasks, delivering a fast, smooth experience with none of that thumb-twiddling as bloated OSs slowly wake from their slumbers. The 10-inch Super IPS+ 1,280-by-800-pixel touch display is bright, sharp and colourful and we quickly realised how blooming useful a touchscreen is ona laptop. Once you spend ten minutes with the Prime, going back to a regular laptop is like taking a stroll through the gas-kit foggy streets of Dickens’ London. In fact we can go as far as to say that we will never, ever buy a laptop without a touchscreen. Battery life for the tablet alone was exceptional – we got over ten hours – but the real appeal comes once the keyboard dock is attached. This boosts the battery life into a stratospheric 16-18 hours with the dock adding a ton of productivity, thanks to its full-size SD and USB ports to adding to the micro-HDMI, micro-SD and 3.5 mm headphone jack on the tablet. A front facing camera makes Skyping a breeze, while an 8 megapixel main camera on the back lets you take fairly decent photos, although taking photos on a tablet looks as cool as a heatwave to us. Running Android 4, we found no shortage of high quality apps letting us do just about everything we’d normally do on our heavier, bulkier laptops, with the bonus of having an all day battery life. The Asus also looks way better than our laptops, sporting a deluxe polished metal lid and well-built metal keyboard dock. With no shortage of RAW-supporting apps, plus DSLR-controlling programs and powerful photo editing tools like Photoshop Touch and Snapseed available, it’s still possible to edit their images to a professional standard. 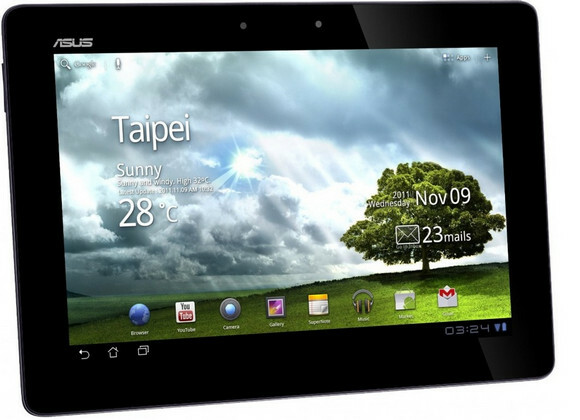 See: Asus Transformer Prime: A Photographer’s Tablet? We encountered a few minor issues with the Prime – the sound from the underwhelming single speaker isn’t too wonderful and the tablet can get a bit toasty if you’re playing graphics-intense 3D games – but these really are minor quibbles when the overall package is assessed. We managed to pick up the Prime for just £390* and since we’ve been carrying it around, several colleagues have gone out and snapped one up too, such is its infective appeal. Although Asus have now brought out the more expensive Transformer Infinity – basically the same machine but with a higher resolution screen and slightly lower battery life – the Prime is till the machine we’d recommend above others. Obviously, if you’re a power user that needs access to dedicated Mac/Windows features, this isn’t the laptop for you, but for folks looking for a slim, powerful, fast and versatile laptop that has the added appeal of turning into a super slender tablet with an almighty battery life, we strongly recommend you give the Prime a go: you may be surprised. It’s our Laptop of the Year 2012. (*the price of the Prime seems to fluctuate fairly wildly – at the time of writing, the cheapest we could find it was for £486 which is still something of a bargain in our eyes – but some diligent web searching may bag a cheaper deal).